Soufriere is a charming town on the West Coast of St. Lucia, located just fifty (50) minutes away from the Hewanorra International Airport. This town is the place to visit if you want peace and tranquility in a tropical setting and also want to experience exciting outdoor activities whether by land or sea. This town has a fascinating history of colonialism, and you will learn all about this while enjoying your favorite local Rum or having some green fig (green bananas) and salt fish – this sumptuous meal is the national dish of St. Lucia. The laid-back culture and welcoming attitude of the local people of Soufriere adds a homely feeling to your vacation, and you will feel encouraged just to relax and enjoy this once in a lifetime Caribbean experience! We will highlight some of the best places to stay, fun things to do and best dining spots in and around the magical town of Soufriere. Before we get started, we want you to give our Facebook page a quick like and be sure to follow us on Instagram for some amazing inspiration. We also do use Affiliate links in some of our posts meaning we could make a commission if you purchase from links. Trip Advisor is also one of our Affiliate partners that we link too. The town of Soufriere has some alluring accommodation options available to you, some of the resorts that we highly recommend are; Sugar Beach Resort, Ladera Resort, Anse Chastanet Resort, Stonefield Estate Resort, and Caille Blanc Villa. Sugar Beach Resort is one of the most luxurious hotels in St. Lucia. It is set within an idyllic tropical rain-forest on a former sugar plantation, and the perfectly manicured grounds extend to the powdery white sand Sugar Beach. With 78 unique guest rooms, suites and villas, Sugar Beach Resort has the perfect accommodation for you; the property also boasts a wellness spa and fitness center for you relax and meditate while keeping yourself in shape. There are also three top-notch restaurants at the resort to satisfy all your epicurean needs! By and large, the Sugar Beach Resort provides you with everything that you will need for a luxury vacation in a tranquil and relaxing environment. 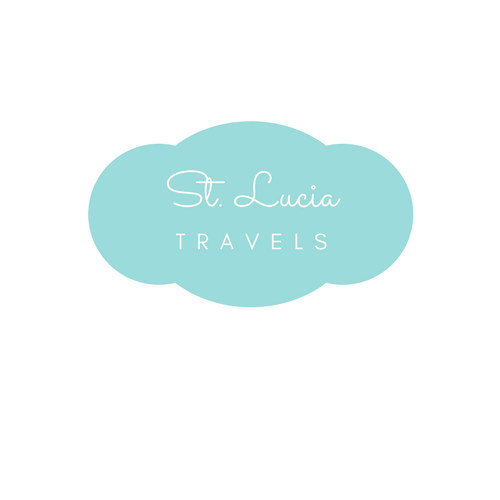 It is definitely an option to consider if you are planning a trip to Soufriere St. Lucia. Located on the ridgeline of a Volcano 1000 feet above sea level is the unique Ladera Resort. This alluring adults-only property is the only resort in St. Lucia that is located on a World Heritage Site and provides guests with stunning views of the world-renowned Pitons and the beautiful Caribbean Sea. The property has an intimate and homely feel with just thirty-seven (37) guest rooms and suites, you will receive friendly and personalized service from the staff and will never feel like just another guest. The tranquil environment of the Ladera Resort is the perfect place to rekindle your love whether you have been together for thirty years or just one month! The resort is regarded as one of the most romantic properties in St. Lucia. The Anse Chastanet Resort is another truly Caribbean resort located in the middle of the beautiful town of Soufriere. The resort was designed in concert with the environment to highlight the natural beauty of the property. The resort covers 600 acres of lush tropical foliage and is bordered by two pristine beaches and is also a part of a marine reserve. Anse Chastanet Resort includes 49 guest rooms that are sprawled out across the alluring property, eliminating the hotel room feeling. The privacy and seclusion of the rooms, coupled with the scenic backdrop of the Pitons and the Caribbean Sea makes Anse Chastanet one of the most romantic resorts that you will ever visit! Stonefield Estate Resort is another gem of a property in the scenic town of Soufriere. It is located on 26 acres of lush hillside overlooking the Pitons and the majestic Caribbean Sea. The Stonefield Estate includes 17 separate and self-contained villas each having its own private plunge pool. The property also offers two delectable restaurants, A Spa and Wellness Center and is also a perfect location for small to medium sized events such as weddings and retreats. There is no better place to escape to and stay in your own private villa for your honeymoon, wedding anniversary or just a hideaway from the hustle and bustle of life. Caille Blanc Villa is a luxury Villa of six (6) self-contained suites. The Villa is the perfect option if you intend to explore all that the beautiful town of Soufriere has to offer and just want a luxurious place to stay that gives you a panoramic view of the serene Caribbean Sea and the magnificent Pitons. The Caille Blanc Villa includes a 65 feet infinity pool and is less than five minutes away from the beach where you can enjoy activities such as scuba diving and snorkeling. The beautiful town of Soufriere offers several options for the discerning traveler, whether you are seeking to explore the culinary offerings of the town or you want to enjoy the land and water based activities, we will explore some of the best experiences in and around the town. One of the things that you will enjoy when you visit the town of Soufriere is the many local dining options available to you. Some of the recommended restaurants are; Fedo’s, Orlando’s Restaurant and Bar, Boucan Restaurant and Bar, Martha’s Table, The Beacon Restaurant, Bamboo Restaurant, The Mango Tree, The Hummingbird Restaurant and Big Yard Restaurant. If you try these dining options, you will experience the full gamut of the culinary offerings of the tranquil town of Soufriere. If you enjoy life outdoors, you will definitely enjoy your trip to the beautiful tropical paradise of Soufriere. You can take the entire family to the scenic St. Lucia Botanical Gardens which includes a wide array of ornamental plant and flower species, a beautiful cascading waterfall and several hot water mineral baths. The Botanical Gardens is a great option if you want to relax and just internalize the beauty of the town of Soufriere. If you want some more adventure, the Morne Coubaril Adventure Park is the place to go; this is a former cocoa plantation with mills and other equipment that still works. Tours of the sprawling estate are available where you will learn all about the historical importance of cocoa production to St. Lucia. The Adventure Park also includes ziplining to get your adrenaline pumping and horseback riding! The town of Soufriere is home to the famous St. Lucian landmark called the Pitons, hiking up Gros Piton is an experience that you should have first-hand when you visit the Island because if you do not, you will feel as if you have missed the best part of St. Lucia! Take as many photographs as you want to ensure that you have memories of this one in a lifetime experience! If you are a lover of waterfalls, there are many to choose from in and around the alluring town of Soufriere; The Pitons Falls, Superman Waterfall and the Sapphire Falls are some of the popular options available to you. Whether you choose to climb the falls or just relax under the cascading waters, you will feel much better in your body and soul after the experience! Finally, the town of Soufriere should be considered for your next trip to St. Lucia since it provides you with a wide variety of activities, unique dining options, and several world-class resorts. All in a serene and tranquil tropical environment, you will surely feel relaxed and fulfilled if you take your next vacation in Soufriere, St. Lucia!